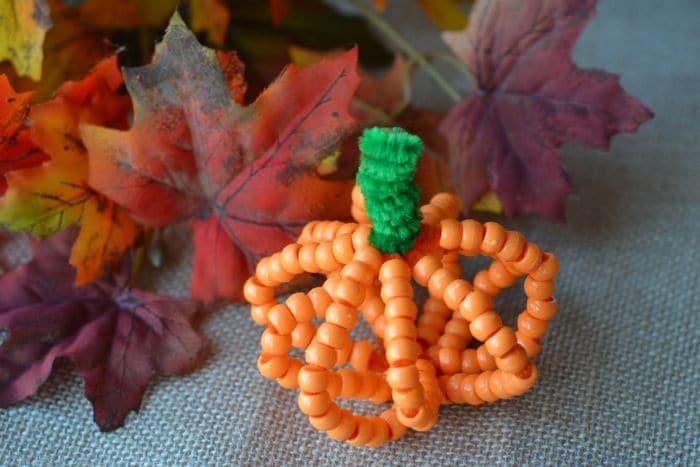 Halloween is upon us and that means lots and lots of Halloween parties. 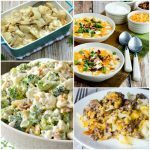 Even if it’s just you and the kids rocking out to a little Monster Mash in the kitchen! 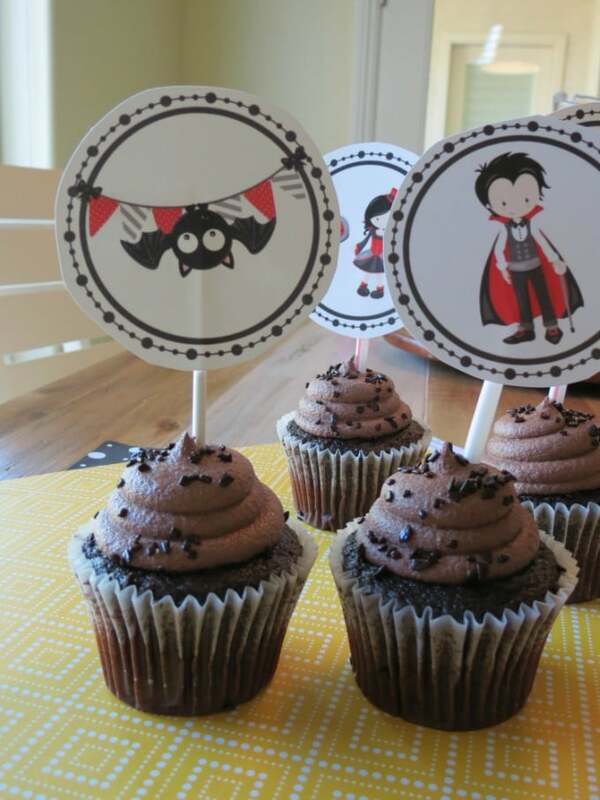 I made these Vampire Halloween Cupcake Toppers to take store bought cupcakes to the next (cutest) level. I’m the kind of mom that likes to take the easy way most of the time. It just doesn’t make sense to do everything from scratch if I don’t have to. Like they always say, “Don’t re-create the wheel.” Of course, there are some things I will ALWAYS make from scratch (hello, chocolate chip cookies!). Cupcakes are in my maybe pile. They usually are better homemade, but they’re also just fine store bought. 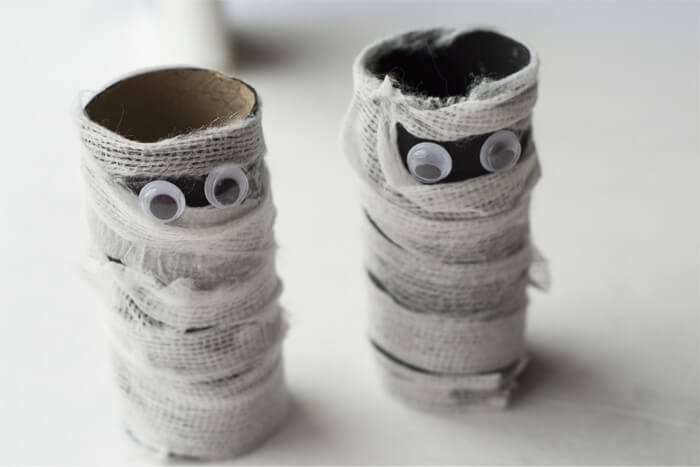 These cupcake toppers are perfect to instantly make a package of blah store bought cupcakes and turn them into something ready for a Halloween bash. 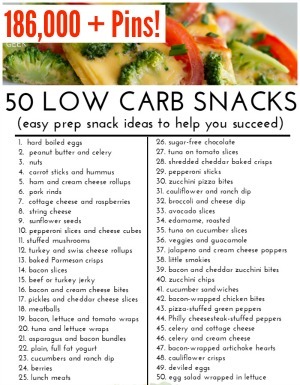 Step 1 – Download the PDF file HERE. Step 2 – Once you have the page downloaded, print it out in color. Step 3 – Cut out the circles. 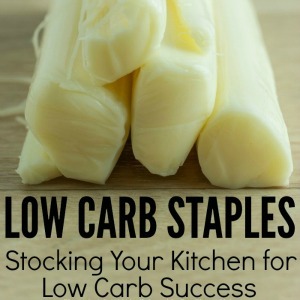 Step 4 – To make the cupcake toppers, tape or glue each circle to a Popsicle stick, straw, or toothpick. Step 5 – Place each cupcake topper into the cupcakes. Printable match games are THE BEST. Why you ask? Maybe it’s just me and my kids, but they lose or destroy the matching pieces all the time. 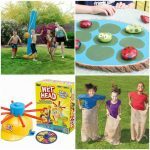 I hate spending money on something I know my kids are going to destroy. Step 1 – Print at least 2 sheets of the Vampire Cupcake Toppers. Yes, technically these are cupcake toppers, but there are so many ways you can use them. Check out all the ways I thought of below. I bet you could think of some more. Step 2 – Cut out all the cupcake toppers. This would be great practice for the kids. Step 3 – Turn over all the cupcake toppers. Turn them over 2 at a time and look for pairs! Take another turn when you make a match! 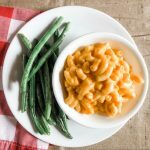 Let your kids know you are thinking of them while they are eating their school lunch. 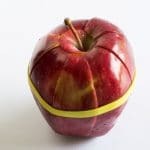 Similar to a lunchbox note, you can cut out these cupcake toppers and tape them to the tops of a fruit cup or applesauce that you put in their lunch. I love this idea for kids who are too young to read. But with these snack toppers, they don’t have to read a message, to understand what it is and that you put it there for them. Halloween is one of my favorite holidays of the year. 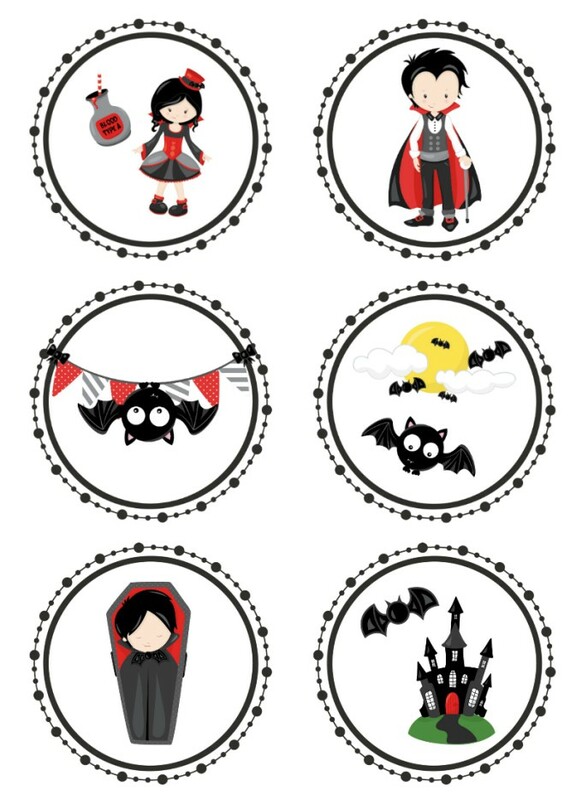 I made the cutest Vampire Cupcake Toppers and then realized there were so many more ways I could use them! 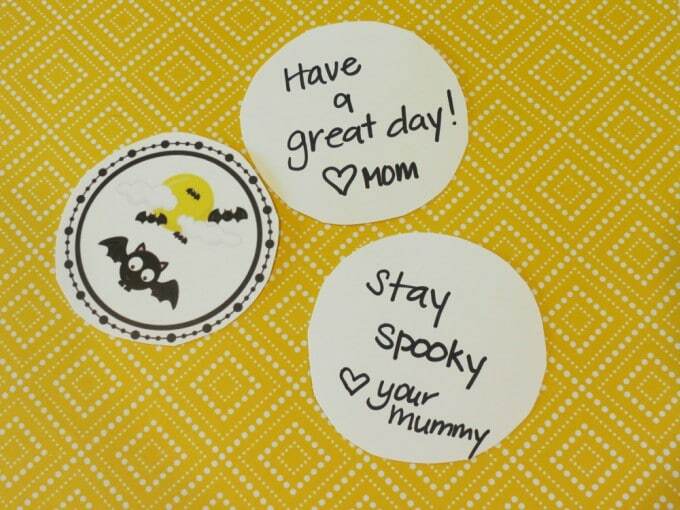 I cut out the Cupcake Toppers and wrote a special note and put them in my kids’ lunchboxes this week. They’re only in preschool so they can’t really read my note, but they know hearts and Mommy. I know they smiled when they found them in their lunch. The fact that they’re so cute means the words don’t matter. My kids know I was thinking about them and their smile is all that matters. 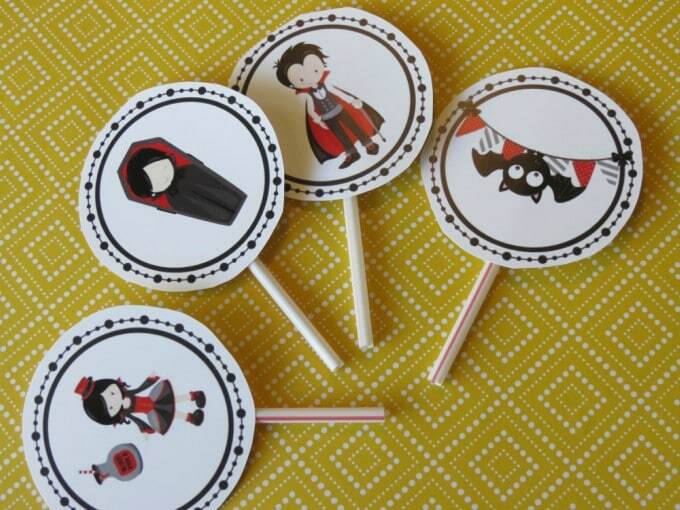 These Vampire Halloween wands are the perfect quick craft for these rambunctious preschoolers. 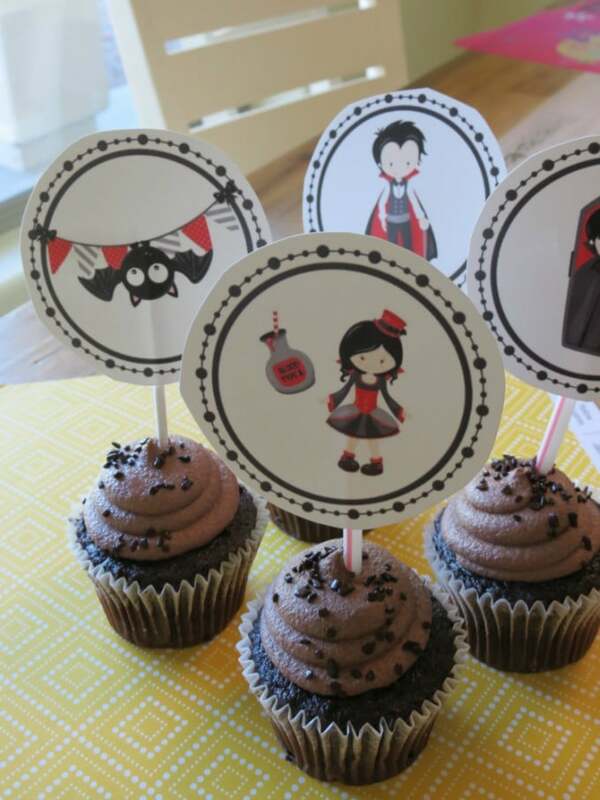 Step 1 – Print the Vampire Cupcake Toppers, available in the Practical Printables Club. Step 2 – Cup out the cupcake toppers. Step 3 – Use a popsicle stick, lollipop stick, pipe cleaner or straw and tape a cupcake topper to the front. You can put a cupcake topper on the front and the back or just the front. Tape works best, but you can also try gluing it. 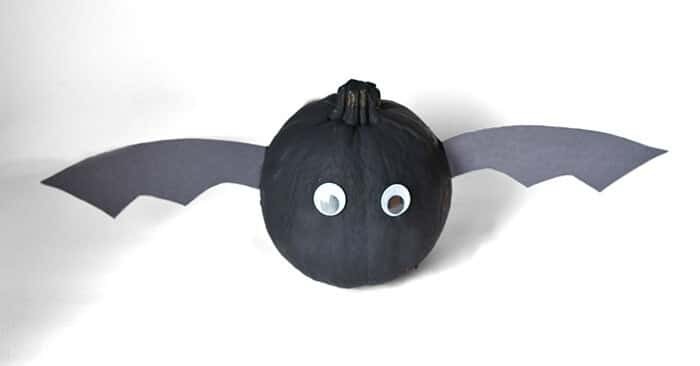 Step 4 – Have some Halloween fun waving it around with your friends. Kristen is a 30-something Mommy to 2 girls (2 and 4) and a newborn baby boy. She loves reading, writing, trying new beers with her husband and binge watching series on Netflix.